These classes will apply to your degree, certificate or diploma and may be transferred to other colleges or universities. 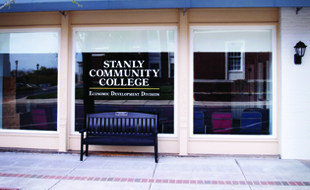 Questions: Call the Eagle's 1 Stop at (704) 991-0123 or onestop@stanly.edu. 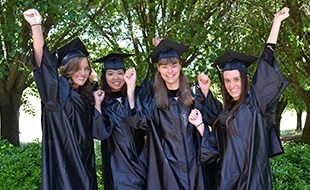 Classes are for individuals that need training in their vocation or professional field, basic skills knowledge, or for those that wish to enhance their personal or community life. Questions: Call the Eagle's 1 Stop at (704) 991-0123 or onestop@stanly.edu. The majority of classes/seminars offered through the SBC are FREE of charge and support the development of new businesses and the growth of existing businesses. 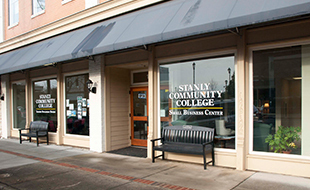 Questions: call the Small Business Center at (704) 991-0355 or aherrin2506@stanl.edu.